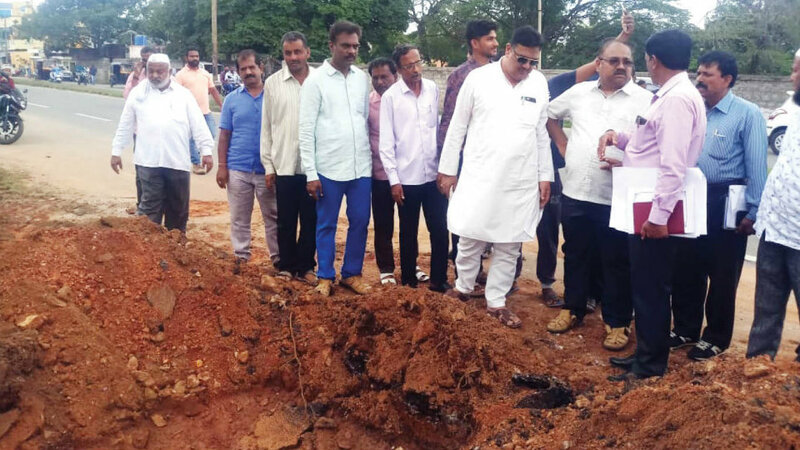 Narasimharaja Constituency MLA and former Minister Tanveer Sait, on Sunday, inspected development works of upgrading the road, drain and footpath from Udayakrishna Hotel via Gayathripuram till Raghavendranagar. Tanveer Sait has already sanctioned Rs. 3.50 crore for this work and Rs. 5 crore for upgrading drain and Azeez Sait Double Road.